The Jamaco 5K River Run and Post-Race Event is an annual, fun, family-friendly event. 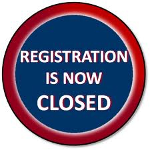 Registration & Bib Pick-up will begin at 8:00am on Sun June 24th in the Waterhouse Field (74 E. Main St, Merrimac, MA). Parking is available in the field. The 5K race will begin at 10:00am sharp and be followed by an amazing post-race event complete with live music, beer, food, and activities for children.